Zac Brewer has a new book out y‘all! Dark and compelling, Brewer’s latest is the story of surviving when you don’t want to. Until Brooke met Derek, she was just pretending to be fine, patiently waiting for her parents to let down their guard. But Derek gets it–he’s the same. But as their relationship develops and Brooke finds herself looking forward to every new day, Derek is spiraling into something much, much darker. 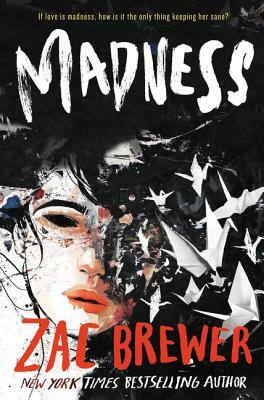 Honest and gripping, we can’t wait to hear what Brewer has to say about Madness at the Epic Reads event September 21st at 6:30 PM with the rest of the Epic Reads authors Kendare Blake, Annie Barrows, and Katharine McGee. Not only is Zac Brewer coming to BookPeople, he’s also going to be at TTBF this year! We’ll see you at the biggest YA author event of the season, October 7th! 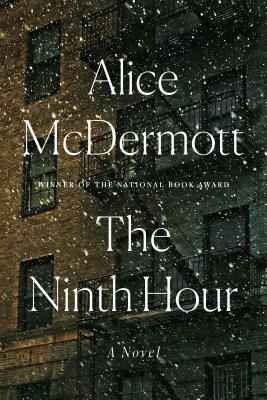 From National Book Award winner Alice McDermott comes a new novel about the Irish-American experience in Brooklyn. An affecting, wise novel following a cloister of nuns and the guidance and love they bring to a widow after her husband commits suicide. This novel is not only a family story, it is a meditation on ethics, forgiveness, religion and sin, written in the quiet, elegant prose that could only be Alice McDermott. 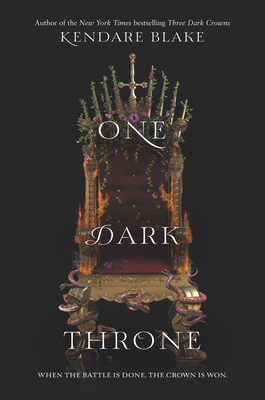 One Dark Throne is finally out today, and our booksellers have been waiting all year for the second book in Kendare Blake’s Three Dark Crowns trilogy to return to the mysterious magical island where a queen reigns only when she kills her sisters. Tomoko says “the latest installation in Blake’s series is everything I wanted and more–the end of THREE DARK CROWNS was so sudden and captivating that I haven’t been able to stop thinking about it all year. Not only was I able to dive right into One Dark Throne without needing a summary recap (Blake’s world and character building is so good I didn’t forget anything), but the action drew me in immediately. It’s a whirlwhind of a book, and can I just say ARSINOE IS SO FREAKING COOL! Also, the trend of gorgeous book covers continues!” Don’t miss Kendare Blake here at BookPeople as part of the Epic Reads Tour THIS THURSDAY, Sept 21st. She’ll be here with Annie Barrows, Zac Brewer, and Katharine McGee at 6:30 PM–it’s going to be awesome! Check our events page for more details! When students in Shanghai rose to the top of international rankings in 2009, Americans feared that they were being “out-educated” by the rising superpower. It was then that Lenora Chu, an American journalist of Chinese descent raising a young family in Shanghai noticed how well-behaved Chinese children were compared to her boisterous toddler. 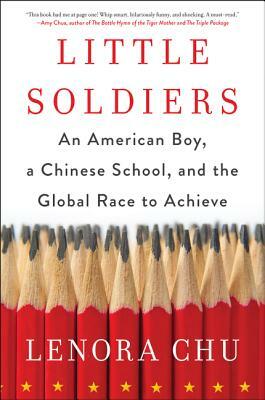 She’s coming to BookPeople Thursday, September 28th to discuss her new book, Little Soldiers, an illuminating investigation asking us to consider the true value and purpose of education. Jennifer Mathieu has a YA book out today inspired by the Riot Grrrls. Teen Press Corps member Trini read and loved Moxie–check out what she has to say: “Moxie is about a normal high-school girl who starts a feminist revolution at East Rockport High with a zine inspired by her mom’s Riot Grrrl days. Moxie not only educates about the Riot Grrrls, it empathizes with what many girls still have to deal with, addresses the issue of feminism as a “dirty word”, and teaches you to fight for what’s right and be true to yourself. With modern cultural role models like Moxie, we really are becoming a whole new generation of well-educated, headstrong, feminists—better watch out!” We’re so excited that Jennifer Mathieu is going to be at TTBF this year! Don’t miss one of the most highly anticipated events of the year Saturday, October 7th, all day! Patrick Ness, author of When a Monster Calls and The Rest of Us Just Live Here, has a new book out today that dips again into magical realism. In Release, the vengeful ghost of a murdered girl tries to find her killer the same day Adam finally comes out to his parents, gets an unpleasant ultimatum from his boss, and attends his ex’s going away party. An exploration of what it’s like to live in a conservative religious household when you don’t fit their mold, the families you make and the people you love, Ness’ latest is surreal, painful, and ultimately uplifting. 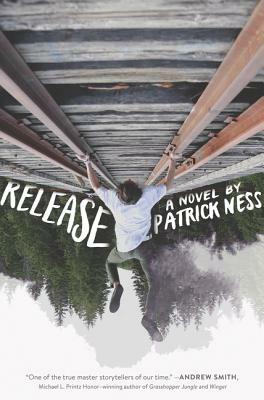 Don’t miss Patrick Ness, here at bookpeople this Sunday, September 23rd at 6 PM. For all you entrepreneurs (or those who’d love to make a few extra bucks!) out there, this book’s for you! Chris Guillebeau, New York Times Bestselling Author of The $100 Startup, The Happiness of Pursuit, and The Art of Non-Conformity. 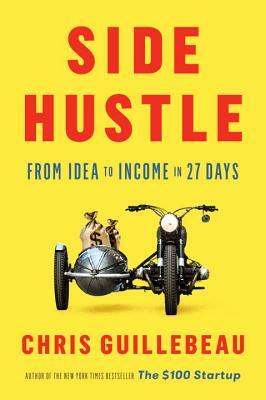 He’s coming to BookPeople to share his new book, Side Hustle: From Idea to Income in 27 Days on October 25th at 7pm. In this informative step-by-step guide, Chris teaches us how to keep our full-time job, while still having time for a side hustle! 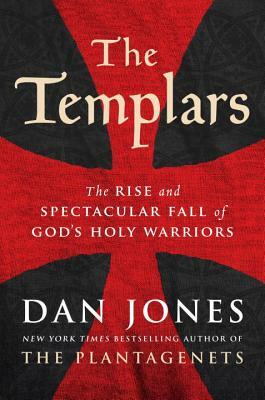 Part-time bookseller Will B is a big fan of Dan Jones’ new history book, The Templars. The origin and spectacular fall of one of the most famous orders of Knights is compelling to say the least–Will says “I have to say that this is one of my favorite history books I’ve read in a while. I knew it would be interesting, of course, but the idea that this order of Knights started out so humbly (as protectors of pilgrims as they went to holy sites) and became real world players is mind boggling. The Templars were beloved by the Pope, Champions of Christianity, the front line of the great fights, until all of a sudden they weren’t. 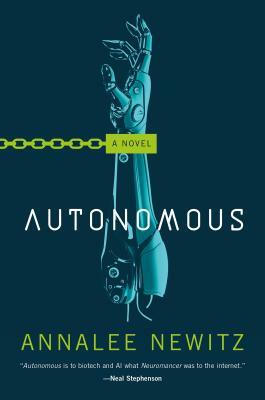 While this book does not fictionalize/change things to make them more personable the book reads fast and easy. It kept you going, wanting to know what led to their essential destruction as an Order (or were they?!). The Templar are still a part of modern consciousness in the form of conspiracy theories, stories and even video games, so I recommend this to anyone looking to know more about them, or just for a really great read.” Don’t miss this bookseller favorite live next Monday, September 25th at 7PM–Dan Jones will be here speaking about and signing The Templars. Fortune 50 consultant and Austin author Stephen Harvill has released his new book on the twenty one secrets of top-performing companies across the world. For over 30 years, Stephen has helped sales teams understand how to work smarter and more imaginatively and he’s coming to BookPeople to share his insight with us! 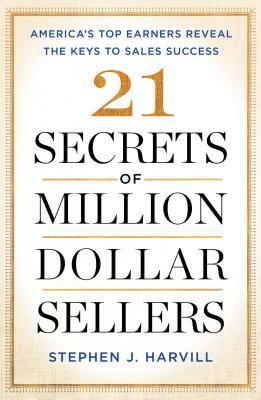 We hope you’ll join us tomorrow night at 7PM for Stephen Harvill and 21 SECRETS OF MILLION DOLLAR SELLERS! 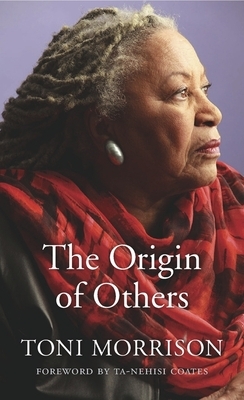 Toni Morrison’s most personal nonfiction work to date, The Origin of Others reflects on the themes that most occupy her work: What is race and why does it matter? Why does the presence of the Other make us uncomfortable? With a foreword by Ta-nehisi Coates, this book melds memoir, literary criticism, and history, and joins in conversation about identity with writers such as William Faulkner, Harriet Beecher Stowe, and Flannery O’ Connor. We are so thrilled that The Origin of Others is finally out today! Next Post The Nightmare Factory Celebrates The Fear Of Growing Old With Peter Straub’s GHOST STORY!